Can Someone — Anyone — Please Explain To Me Why Marissa Mayer Is Still Employed? Can Someone — Anyone — Please Explain To Me Why Marissa Mayer Is Still Employed? 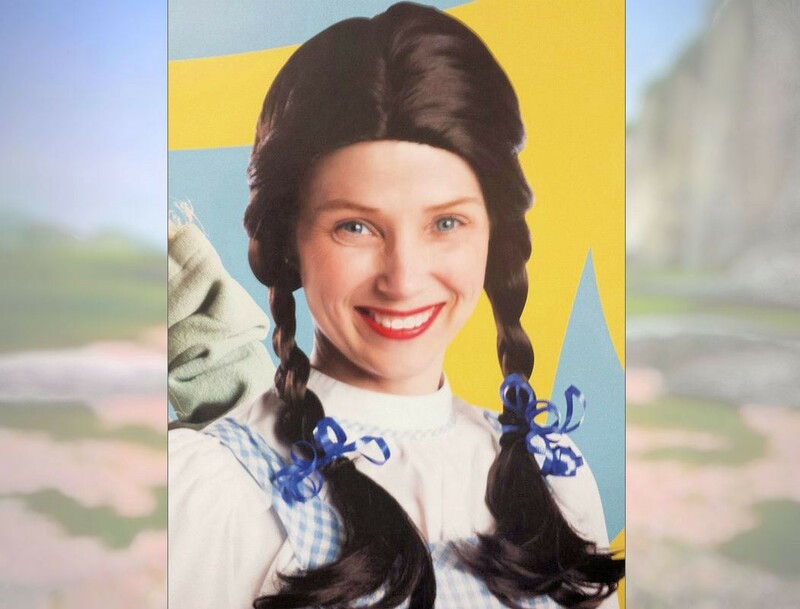 Why did she hold a $70,000 “Wizard of Oz” party when the core business of her company is, at best, barely profitable, and at worst, hemorrhaging cash? Does Mayer understand that she’s basing the product that’s supposedly going to save her company — “Project Index” — on another Yahoo! product used only by people who needed a free email before Gmail existed and could not be bothered to change once Gmail came out? If “Project Index” is based on Yahoo! Mail, why did Yahoo! block users with ad-block software installed from accessing their emails? Does Mayer understand that for “Project Index” to succeed, it will have to rely on the good reviews of early adopters… and odds are, these early adopters are technologically-literate enough to have ad-blockers installed? Does Mayer know that literally no one is counting on “Project Index” to save the company? Some employees even went as far as to describe “Project Index” as a vanity project for Mayer, much like her high-cost magazine project that resulted in hundreds of thousands of dollars being burnt without a cent of profit on the horizon. As of right now, Mayer is more or less buying the traffic going to Yahoo! search — to the tune of $119 million (based on Q3'15 filings). How long can that last? How long can you keep paying a dollar for 75 cents? When Mayer got hired, some of Yahoo!’s advisors told her to slash the headcount of the company by 10,000. Mayer balked, but now Yahoo! is so obviously bloated that Mayer needs an outside firm — McKinsey & Co. — to trim the company’s excessive fats for her. Is there a good reason why Mayer didn’t cut 10,000 people right off the bat when she was hired? Is Mayer so out of touch with her own company that she has no clue which projects need more resources and which projects should be killed? If McKinsey can do it, why can’t Mayer? What is she spending all her time on? It’s been almost four years since Mayer tried to turn Yahoo! around, yet she’s only hiring McKinsey now. Why didn’t Mayer send the SOS signal earlier? When Yahoo! started bleeding major talents (Kathy Savitt, Jackie Reses, Dawn Airey, etc. ), Mayer tossed them all under the bus and implied that they weren’t good enough for Yahoo! Why on earth would she do that? What good does burning bridges do for her? Does she know that most of them left because they no longer have faith in her turnaround plan? The exodus within Yahoo! goes well beyond the C-suite executives. Many of the people leaving were people who were dazzled by Mayer when she first came to Yahoo! but have since become disillusioned by the company. Put another way, Mayer is like a celebrity who has lost her sparkle. What concrete plan does she have to retain the A-team (if — and that is a big IF — what remains is still an A-team) in her company (other than, you know, making them sign pledges, lol)? What was Mayer thinking when she green-lit the plan for Yahoo! to take on Community, especially when she knew that it would be next to impossible for them to make money from it? The deal that Yahoo! got for Community was also a disaster — did the company not have any leverage to negotiate a better deal? Or did they just… not care enough? Didn’t think it was going to result in a $42 million write-down? Mayer personally pushed for Yahoo! to stream the NFL Buffalo Bills v. Jacksonville Jaguars game live for $20 million. Then, perhaps after realizing how undesirable the game was to advertisers, Yahoo! had to mark down their asking price for an ad spot from $200,000 to a measly $50,000 (a 75% mark-down!). To add fuel to the flame, Yahoo! did not even sell out their ad spots. My guess is that Mayer personally knew that there was no way Yahoo! could profit from the game. But, you know, it’d be good for future synergy, blah blah blah. Anyway, how’s that balance sheet looking without Alibaba? When Mayer was at Google, she was infamous for being data-driven (after all, who could forget the anecdote about Google’s homepage?). At Yahoo!, it’s almost as though she became a totally different person: she took out an ad on Yahoo! Mail’s landing page because she didn’t like it, and she pushed out an ad product that wasn’t ready — more worryingly, despite the protests of the team in charge. What kind of leader is that? What changed in her? Why is Katie Couric is still employed with Yahoo? Unless she’s got some blackmail material on Mayer, there’s literally zero reason why she’s of any use at Yahoo! Couric got Yahoo! kicked off Snapchat Discover, and her videos go largely unseen. Couric is different from shows like With All Due Respect for one reason: Yahoo! can’t afford that kind of baggage; Bloomberg can. Mayer seems to have a ton of time on her hands (from the Forbes profile: “Mayer also insisted on reviewing the terms given to hundreds of contractors and vendors on a quarterly basis, whether they were engineers or writers or makeup artists.”). Is she micromanaging to that level to distract herself from the big picture: that her company is sinking while she’s at the helm? Yahoo! has acquired tons of mobile companies (including Tumblr) so it could boost its presence on mobile. Well, Yahoo! Mail is ranked 84th in the App Store Top 100 list, while Tumblr hovers around 100th. What’s going on here? Since Mayer arrived, Yahoo! has spent around $2.5 billion on acquisitions like Tumblr, Flurry, BrightRoll, and other nameless acqui-hires… where and what are the results? When confronted with Yahoo!’s problems, a default Mayer tactic is to remind everyone how terrible of a state she inherited Yahoo! in. Well, it’s almost her fourth year, and whatever improvements she did in the beginning are starting to come apart. Yahoo’s revenue and cash flow have dropped significantly from when Mayer started. At this point, even activist investors like Starboard have more or less given up hope on Yahoo! When Mayer came to Yahoo!, she gave everyone hope. Now, she’s the weakest link in the chain. Marissa Mayer has overstayed her welcome. It’s time for her to go.